From the rebuilding of inner cities to remarkable constructions like the Channel tunnel, the world is full of building and infrastructure projects that couldn’t happen without civil engineers. This BSc course has been developed with input from our Industrial Advisory Panel to give a practical design-orientated course which will equip you with the skills and qualifications you need to join the construction industry. What's the difference between the BSc and a BEng in Civil Engineering? The BSc is more practical and design-orientated. The BEng is more theoretical and mathematical. Top 10 in the UK for student satisfaction and research intensity in Civil Engineering (Complete University Guide 2019). Professionally accreditation by the Engineering Council for Incorporated Engineer status. Start in year 2 on the part-time route if you hold a HNC. Employability: complete your third year in a paid professional work placement to boost your career prospects. 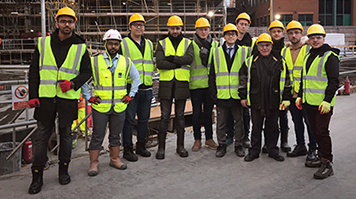 Our Civil and Building Services Engineering courses offer our students field work and site visits, which may be residential or outside the United Kingdom, ranging from three to five days. This degree course prepares you for a career as a civil or structural engineer. As well as developing your know-how in structural, geotechnical, environmental and transportation engineering, it allows you to acquire management and business skills. You’ll leave with understanding and working knowledge of the whole design process. This includes: using codes of practice, civil engineering procedures, project management, quality issues, finance, the importance of sustainability, ethical conduct, and health and safety. Methods of assessment for course overall: 45% coursework. This module will introduce you to the properties and applications of a variety of engineering materials, including some innovative materials. In addition, it will introduce you to engineering geology and geomaterials (rock and soils). Whilst traditional lectures and laboratories will be used as a means of delivering the course content, there will also be emphasis on the teaching in the field through site visits and field trips. Assessment methods: 50% coursework, 50% exam. This module will introduce you to the basic theory and practice of land surveying, particularly as it applies to civil engineering. You'll learn or revise the main concepts of three-dimensional geometry and relate them to practical surveying exercises. You'll be taught to use various pieces of surveying equipment, including tape, level, theodolite and total station. You'll learn how measurements are taken and booked, and how to carry out various relevant computations, including the assessment of error and the calculation of reduced level, coordinates and bearings. You'll use the knowledge you've acquired to carry out a field project. This project will involve tape and offset survey, levelling, traversing and calculation of volume. In addition you'll learn to carry out simple setting out procedures, including the analysis and setting out of curves, and you'll be introduced to the concepts of GPS and its associated technology. You'll learn the associated surveying calculations, adjustment and analysis of survey observations. Finally, you'll gain an appreciation of the need for a quality management process/system in undertaking practical work. Assessment methods: 50% coursework, 50% exam. This module consolidates the mathematical skills that underpin the Civil engineering degrees. It's specifically designed to cater for the wide differences in mathematical background of students to reach an equivalent A-level maths and then extending it by introducing the main mathematical techniques that are required in the early stages of Civil engineering degrees. The module is delivered over two semesters. Assessment methods: 50% coursework, 50% exam. This module provides an introduction to the fundamental engineering principles relevant to civil engineers, develops the fundamental principles of engineering mathematics and fluid mechanics, and applies them to practical applications of analysis and design. This module will teach you engineering mathematics and will help you understand the fundamental principles of fluid mechanics related to hydrostatic forces, measure the pressure at point in a fluid, and establish the stability of floating bodies, flow in simple pipe systems and open channels. You'll perform simple fluid flow laboratory tests and prepare a formal report. Assessment methods: 50% coursework, 50% exam. This module will teach you the fundamentals of structural mechanics and strength of material, and you'll use numerous worked examples to complement your understanding. You'll be introduced to a computer aided analysis package. You'll reinforce your understanding of structural concepts by studying some well known historical failures. Finally, you'll develop introductory principles of structural engineering design though open-ended exercises and case studies. Assessment methods: 50% coursework, 50% exam. This module introduces the concepts of Building Information Modelling (BIM) through the development of architectural 3D models on industry standard parametric CAD systems. The module covers the practical competence of architectural modelling and provides exposure on co-ordinating building information models. Assessment method: 100% coursework. This module uses mainly case studies to develop the principles introduced in first year design and mechanics by looking at the influence of failures on the evolution of professional practice. It will give you an understanding of holistic design applications, conservation, and the role of regulations, and it will develop your observational, deductive, creative and communication skills. A measured asset survey exercise will give you the opportunity to simulate professional practice. Assessment methods: 40% coursework, 60% exam. To provide students with a good working knowledge of the current systems and procedures that is in place with relation to sustainable construction. The students will gain understanding of legislation and practices that are currently in place in order to assess the sustainability of the built environment and the implication within the society. They will gain a good all round knowledge of techniques and procedures that are currently available to the industry to improve the sustainability of a project. In this module you'll learn to design steel and concrete structural elements and steel connections according to the Eurocodes. Assessment method: 100% coursework. This module will introduce you to several simple concepts and models that are used to describe soil and its mechanical behaviour. The emphasis will be on understanding the theory based on standard laboratory tests carried out, and on the soil properties derived from the testing results. Assessment methods: 40% coursework, 60% exam. This module will further develop the analysis of determinate and indeterminate beams and frames started at Level 4. You'll study stress analysis including complex stress. You'll be introduced to structural analysis and design software. 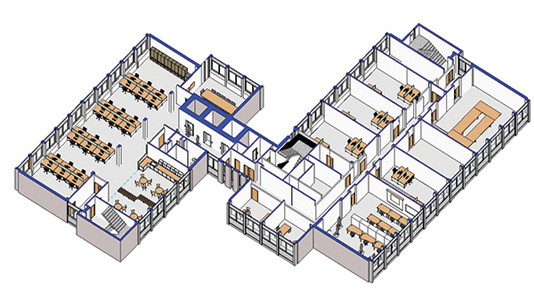 You'll use simple 3D models of buildings to learn load take-down. You'll also learn about CDM and Project Management aspects. Assessment methods: 40% coursework, 60% exam. This module is delivered in two parts. The first part will develop Structural Analysis of determinate and indeterminate beams and frames, building on the principles developed in the Structures and Construction Management Modules at Levels 4 and 5. The unit load and moment distribution methods of analyses will be introduced and developed, and the plastic theory of analysis for beams will be covered. You'll be introduced to calculations for column instability and to the usage of computer aided analysis using a commercial software. The second part of the module will extend your knowledge of steel and concrete material use, analysis of structural form, and ability in design in both qualitative and quantitative directions. Problems from the AMIStructE papers will be selected so that you can develop your analytical confidence to choose appropriate solutions, and presentations will be given on a wider range of subjects and discussed in critical peer review. Assessment methods: 40% coursework, 60% exam. This module takes the principles of environmental engineering and applies them to practical applications of analysis and design. You'll be introduced to the principles of water quality, and basic water and wastewater treatment processes, and consider sustainability issues. You'll develop an understanding of the hydrological cycle and surface hydrology, and apply these principles to the calculation of precipitation and unit hydrograph. You'll also learn basics of groundwater flow, and the problem of contamination in groundwater. The module will also introduce air pollution and noise pollution. Assessment methods: 40% coursework, 60% exam. This module is intended to provide an understanding to the application of theory to the analysis and design of geotechnical structures. Assessment methods: 40% coursework, 60% exam. This module will prepare you to carry out independent research using appropriate methods with the help of your supervisor. You'll choose a topic, prepare a project plan, review literature, carry out research and write a dissertation. Your progress will be monitored through timetabled supervision sessions to monitor progress and methodology and the log-book. Assessment method: 100% coursework. This module covers the classification and traffic capacities of highways and junctions, footway and cycleway design and maintenance. Also covered are the highway geometrical design and the highway structural design including design traffic loading and materials in addition to related environmental and sustainability issues. This module aims to involve you in the process of engineering project development from planning to detailed design working with a project team. You'll also gain knowledge and understanding of professional development attributes and requirements. Assessment method: 100% coursework. The course prepares you to become an Incorporated Engineer, allowing you to work in a range of technical and management roles. Our graduates work in senior positions across the world. You could work for consultants, contractors and government authorities across the structural, water, public health, transport and geotechnical branches of the civil engineering and building industry. Take a look at some potential careers, including civil / structural engineer, on Prospects. The course will enable you to develop a wide range of employability skills through our applied approach to teaching and learning – and you’ll have lots of opportunities to build your work experience and professional network through an optional placement year working in industry. You can expect to hear visiting lecturers from leading civil engineering companies talk about their projects, working life and getting into the industry. 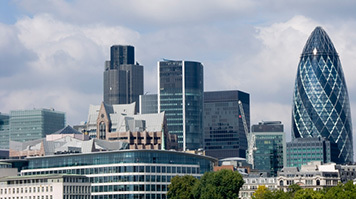 Civil engineering courses have been taught at LSBU for several decades and our alumni occupy senior positions throughout the world. Their feedback, combined with our Industrial Advisory Panel, keep our courses up-to-date with the needs of international employers. It’s during your work placement that you can start to put your newly acquired skills into practice. This is a valuable opportunity to understand the way industry functions and to gain an appreciation of the priorities of the commercial environment. Civil engineers have shaped the world. That’s why we want to offer you the international perspective too. You’ll have the opportunity to undertake fieldwork and site visits, which may be residential or outside the United Kingdom. On these optional modules students are required to make a contribution towards the cost. You can find more information in Fees and Funding. One day visits to construction sites and other installations are arranged on a regular basis. Accreditation is a mark of assurance that the degree meets the standards set by the Engineering Council, who represent the engineering profession. This course is accredited by the Institution of Civil Engineers (ICE), the Institution of Structural Engineers (IHE), the Institute of Highway Engineers and the Chartered Institution of Highways and Transportation (CIHT), as fully satisfying the educational base for an Incorporated Engineer (IEng). The Institute of Highway Engineers (formerly the Institute of Highway Incorporated Engineers) is the professional institution for practitioners in highway and traffic engineering, offering Engineering Council registration and professional development support. 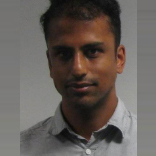 Dr Ali specialises in Traffic and Highway Engineering. Dr Datoo is Head of Civil and Building Services Engineering. He has over 30 years of experience in teaching Structural Analysis, Stress Analysis and Finite Element Modelling. 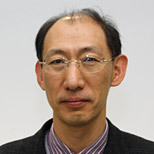 He has authored a book on “Mechanics of Fibrous Composites”. 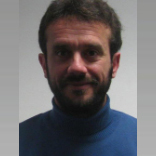 Carlos Gonzalo is a lecturer in both Civil and Building Services Engineering of the School of Built Environment and Architecture. Timothy joined London South Bank University in September 2009 and has more than 25 years' experience as both an academic researcher and practical engineer. 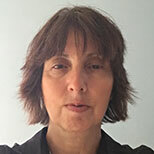 Ivana has extensive knowledge of flexible offshore pipelines, oil platforms, offshore wind turbines, concrete structures, steel fibre reinforced concrete, structural dynamics and earthquake engineering. 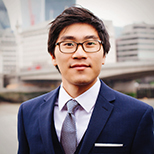 Simon Leung is a Senior Lecturer in Structural Design within the School of Built Environment and Architecture. He brings in experience from the industry as a practising structural engineer and offers insights to next generation of engineers. 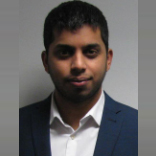 Dr Levatti is a specialist in hydromechanical coupled problems in soils as well as in stress analysis for non-conventional structures combining structural optimisation and Additive Manufacturing. Dr Vireen Limbachiya is a lecturer in Civil Engineering and works in the School of Built Environment and Architecture. 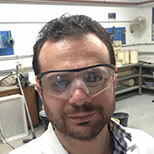 Dr Mavroulidouis a Reader of Geotechnics at LSBU with previous research employments at NTU-Athens, the University of Surrey and Imperial College, London. 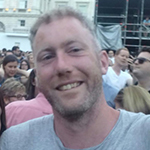 Dr Finian McCann is a Senior Lecturer in the Division of Civil and Building Services Engineering of the School of the Built Environment and Architecture. 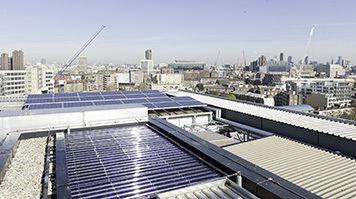 Dr David J. McGovern is a Lecturer in the School of The Built Environment and Architecture at London South Bank University (LSBU). Dr Rabee Shamass is a Lecturer in Civil Engineering in the Division of Civil Engineering and Building Services. We take an applied approach to learning. The extensive final year project, which is supervised by industry-experienced design lecturers, will prepare you for work in a design office. In recent years, our lecturers have led student teams to win some major national design competitions. During your study you will carry out several experiments in our well equipped laboratories. You'll learn to use computer aided design, finite element analysis and other software. The part-time course requires an HNC qualification to a high standard. Depending on the modules covered within your HNC/HND, part-time students could be eligible for advanced entry. The part time degree starts at Year 2 full-time level and completes the degree over 3 years on a day release basis. Some modules include field work and site visits, which may be residential or outside the United Kingdom, ranging from three to five days. These are organised by the Division and students are required to make a contribution towards the cost. The contribution for a field trip outside the United Kingdom can be substantial. Students will be informed of this before they enrol on the module and also advised of any visa and passport requirements. 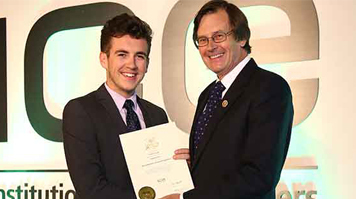 Lloyd is studying part-time and has recently won the Jean Venables medal for newly qualified engineering technicians.